The British Virgin Islands is a British overseas territory in the Caribbean. It is located north-east from the US Virgin Islands, and it is a very popular destination for sailors, fishermen, or other travelers. The place may be a bit expensive, but it has plenty to offer. The British Virgin Islands have about 60 islands, but 43 of them are not inhabited by anyone, so the name kind of fits the situation, don’t you think? Before you start planning your trip to the British Virgin Islands, you should know a few things. First of all, you may require a visa to travel there. What you need to be looking at is the visa policy of the British overseas territories. You will see that it is pretty lenient, and most of the nationalities can get a visa stamp on arrival when they get there. The period of time you can stay inside the British Virgin Islands depends on your nationality, but it varies from 30 days to 6 months. 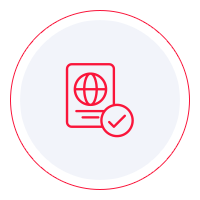 If you cannot find your country of origin on the list of visa-exempt countries, then what you need to do is to go through a visa application process. It should not be very hard. Just find the nearest British diplomatic mission and submit your application there. However, we recommend that even if you find a ton of information online, you should still give the place a call and inquire about the visa requirements. We all know all too well that the internet is not the most reliable source of information. Leaving documentation aside, let’s get to more fun things, shall we? You do not have to worry about communication in the British Virgin Islands since the official language is English. You will hear both American and British accents, but surprisingly enough, there is not much of the British in the British Virgin Islands. Almost all goods are imported from the US Virgin Islands, and most of the people there speak in an American accent. The only thing that is British there is the fact that you must drive your car on the left. But what is even more surprising is that the same driving rule applies in the US Virgin Islands. Go figure! Getting in the British Virgin Islands is easy. There are several flights available, so you do not lack choices. You will most likely land at the St. Thomas Airport or San Juan. Either way, there are enough flights. You can also get there by cruise ship. Many of them dock on the island of Tortola. A trip by boat is also possible, even more than by cruise ship. While many cruise ships make a stop in the British Virgin Islands, small vessels are far more common. People come from all around the world on their personal boats. Keeping yourself occupied in the British Virgin Islands is easy. There are a lot of fun things to do. Whether you want to lay on the beach all day long sipping a mild cocktail, or you want to go snorkeling, you have options. However, you should know that not all islands are the same, and some are better at something than others. For example, there is no snorkeling like the one on Anegada. This particular islands is most known for its snorkeling spots, as well as for its delicious lobster. If you like to be alone, you have 43 islands in the British Virgin Islands that have no permanent residents. You may not be the only one on the island you decide to visit because there are a lot of people who like to avoid the crowd, but at least you do not have to face the too many people all over the place. The experience can be unforgettable. They do not call them the Virgin Islands for nothing. The small tropical paradise untouched by the hand of man is stunning. All in all, the British Virgin Islands are more than worthy of your attention. The perfect beaches and the crazy luxury resorts make this location ideal for a vacation. You can relax, have fun, explore the many islands, and try something new. Boredom is not an option on the British Virgin Islands.